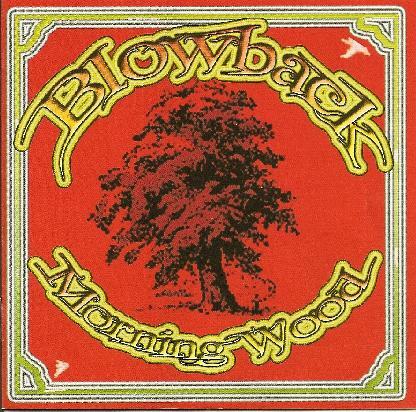 Blow Back - "Morning Wood"
The Örebro Sweden based Blowback are back with their first full length record. They had previously released a split CD with Asteroid as well as a self titled EP from 2005. This is for sure the best thing the band has done. This CD really grows on you. Great stoner grooves but also a good 70's vibe at times. Be forewarned, this CD has some pretty intense low end (Rickenbacker!). Sleeping Widow is a bit of a blues number and slows things down after the stoner groove opener. Eclipse of the Antropoid has a cool groove as well. Stoned and a jammy feel. Not just straight riffing like so many bands in this genre. Insanity is more slow and doomy but then gets a cool Orange Goblin like groove going on. Yesterday is Gone is an acoustic song and totally amazing! This is such a great heartfelt track. I think it is my favourite on the record. Living brings back the heavy sounds and another cool groove but no solos or anything to spice this track up. Lazy is a fun track with the band clearly jamming around and it features some cool vocals and passionate singing! After the Sun is a slow doomy track with some nice phased out guitar. Cool song. This is the last of the studio tracks. Next up are three live tracks but it does not say where they were recorded. Two of the three tracks are on this studio record (Living and Eclipse of the Antropoid). Holy Skies is one of the bands old songs and it reminds me of Sheavy. Anyway, this is a really excellent CD. Great job guys. Hope they jam this stuff out live!